Our magnetic label packs are sure to make a long-lasting impression on your clients. 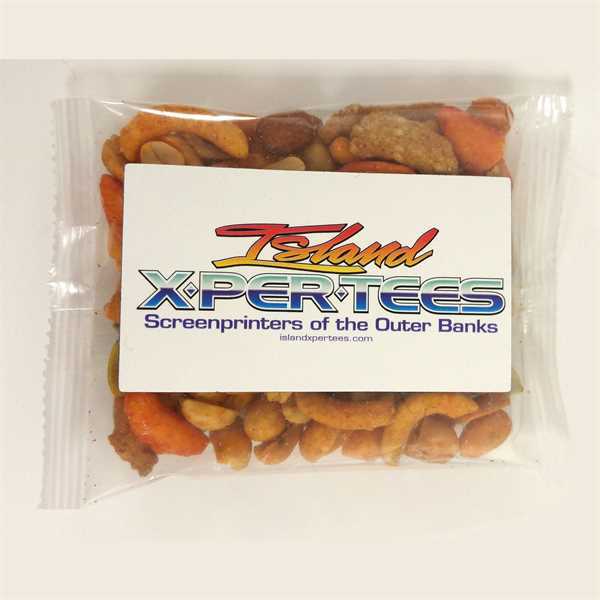 This 2-in-1 product comes with a 2 x 3.5 business card magnet and a bag of gourmet trail mix. Make a lasting brand impression that will stick around long after the candy is enjoyed! This sweet promotional item is an ideal handout for your next trade show or convention. Order yours today!When warm weather conditions apply, some perishable items require special packaging. Transit time for these conditions must be 2 days or less. Please contact Customer Service for details and an applicable freight quote.Our warm weather packaging consists of: Foil insulated sheets in corrugated box with cold packs for $14.99 (transit time must be 2 days or less). Size: 2 " x 3.5 " x .01 "